Hey, who said that smartphone users don't appreciate culture? 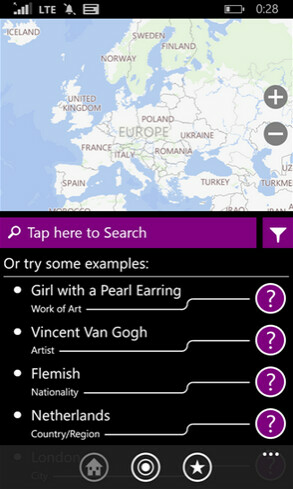 City Art Search for Windows Phone turns your handset into a museum by showing you images of 2100 pieces of art. And we're not talking about the "art" you magnetically hang on the fridge, either. The art is filed away by gallery location, artist, art form and other classifications. 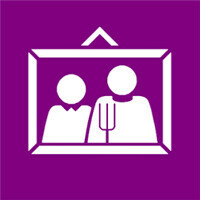 City Art Search has just received an update that includes Live Tile support. Pin the app to your start screen,and the nine most recent images you've viewed will appear in rotation. 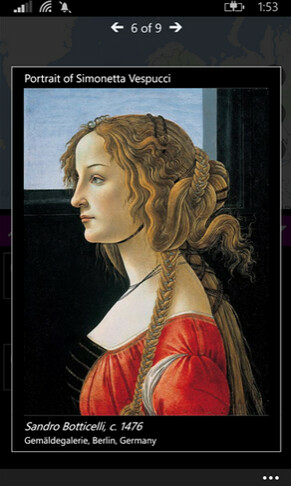 If you haven't looked at nine pieces of art yet, the Live Tile will cycle through nine pre-selected famous paintings. Also included with the update is the ability to go into settings to choose among sorting options. Within each gallery, you can search for art based on Title, Artist, or Year. The UX has also been updated and the usual bug fixes and enhancements have been completed. More importantly, extra artwork has been shoehorned into the app. So if you can't make it today to one of the world's repositories of great art, let the great art come to you. City Art Search is available for Windows Phone 8.1 powered handsets and is a free download from the Windows Phone Store.